The St. Petersburg-based Jabil is working on a new packaging technology that can be programmed to automatically re-order consumable goods like coffee, diapers, shampoo and liquid hand soap. The technology is designed to work through Amazon’s Dash Replenishment Service -- and can affect reordering for both homes and industry. “Your packaging for your household products would know when you are running out, and would automatically order more for you, so you don’t have to think about it,” explains Amanda Williams, Smart Packaging Lead for Jabil Packaging Solutions, a division of Jabil. The closest thing available now is Amazon’s Dash button, which must be activated to re-order a product. Jabil is in discussions with a half of a dozen brands about potentially creating packaging with re-ordering sensors that can be quickly programmed by the consumer. They are one of three providers working with Amazon through the Dash program and are the only one offering an end-to-end manufacturing solution. 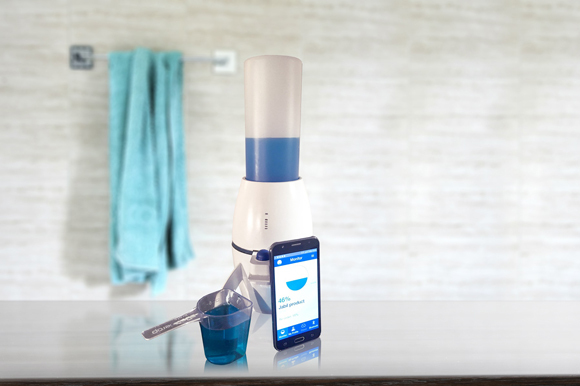 Jabil Packaging Solutions’ liquid-level sensing solution enables smart auto-replenishment. In the future, the package will replace the dash button. The service, which may roll out within the year, is expected to boost brand loyalty. At the same time, it will be providing data on consumption habits. As more products are replenished automatically, it will reduce the time and energy that goes into monitoring and re-supplying a household. “It’s a huge mental load off the person running the household,” says Williams, who works out of San Jose, CA. The cost to implement may be the biggest bottleneck, because of efforts to avoid increasing the cost of the products. Although it’s early to provide details, Jabil is hoping to create more manufacturing jobs as a result. “We’re betting on it,” she says. Jabil Inc. announced plans in February to construct a new global headquarters in St. Petersburg after receiving government approvals. In partnership with the city of St. Petersburg, it plans to expand operations at Roosevelt Boulevard and Dr. Martin Luther King Street North. The $67.3 million project, which includes a new innovation lab in St. Pete’s Gateway district, is expected to bring together 2,000 local Jabil employees onto one campus, and create 300 new jobs. Jabil partners with the Girl Scouts for a STEM Camp.Earlier this month, it sponsored a Girl Scout STEM [science, technology, engineering, math] Camp on engineering, which gave 30 fifth-graders through eighth-graders an opportunity to build small robots, create a hologram that can be displayed on a cellphone, and make a solar oven. It’s part of the Scouts’ effort to close the tech gender gap and show girls different career paths, says Nicole Gonzalez, Public Relations and Media Manager for Girl Scouts of West Central Florida. The program at the Scouts’ Tampa office concluded with a visit to Jabil. Engineers who participated in the camp included Ethan Yang, Cindy House, Besiana Qose, Graeme Jones, Lucy Bone, Andy Joyner, Youssef Faltone and Gamze Quick. 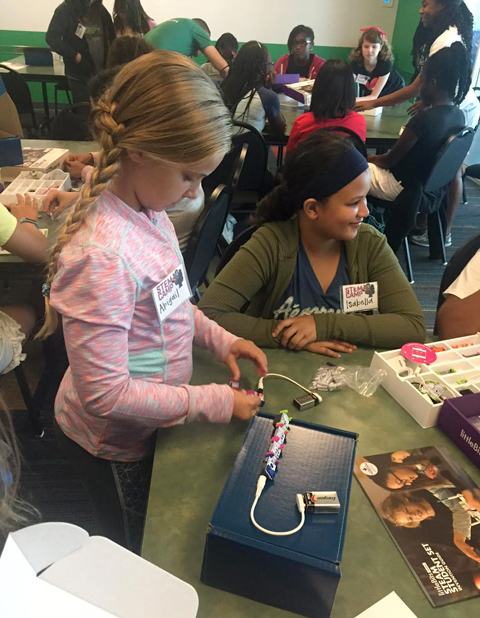 It was the Girl Scouts’ fourth STEM Camp, but the first one to involve Jabil. The company’s support meant more hands-on experiences for the girls, plus it opened up opportunities for 17 to attend through $225 scholarships. “Girl Scouts is committed to offering girls programs that will open different avenues for them in the future. STEM is one of them,” says Clara Moll, VP of Membership Innovation.